With resort-style amenities inside and out, The Vintage is where luxury meets reality. Step inside your new one, two, or three bedroom apartment and discover the best rental opportunity in town. Each of our apartments for rent features stylish finishes that include sleek stainless steel appliances, solid oak cabinetry, and a washer and dryer to make laundry day easier than ever. 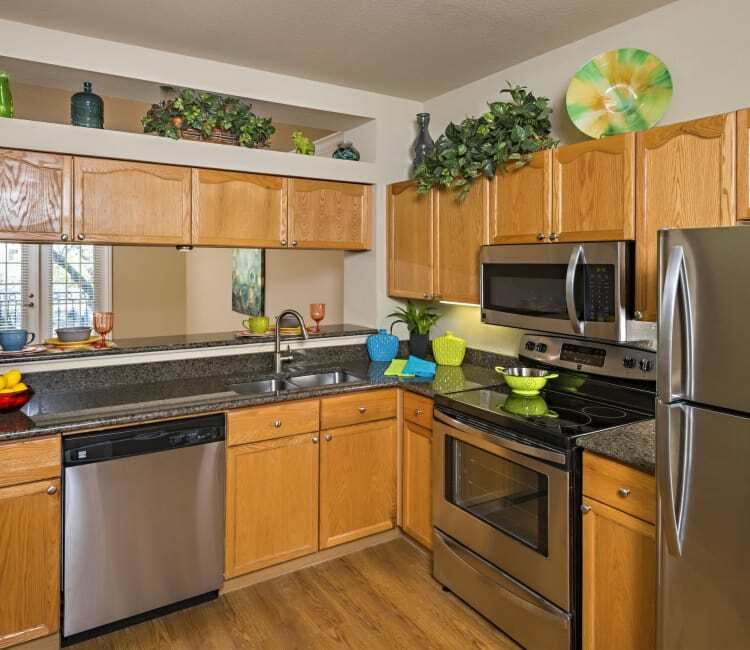 Our luxury community was designed to make your life better. At The Vintage, we strive to give you everything you need to reach ultimate relaxation. Spend the weekend at home relaxing by our resort-style pool and then work on your golf game with our putting green. Experience the very best in San Antonio, just steps from your front door. Give our friendly leasing team a call today to find out more about what The Vintage has to offer.